Note that we do not store or save your password. 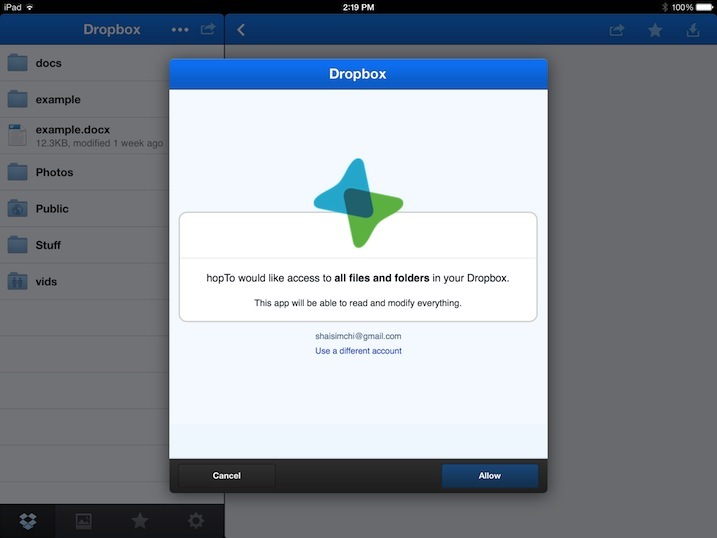 We receive an access token from Dropbox which we use to gain access to your account so that your personal information is always secure and not compromised. 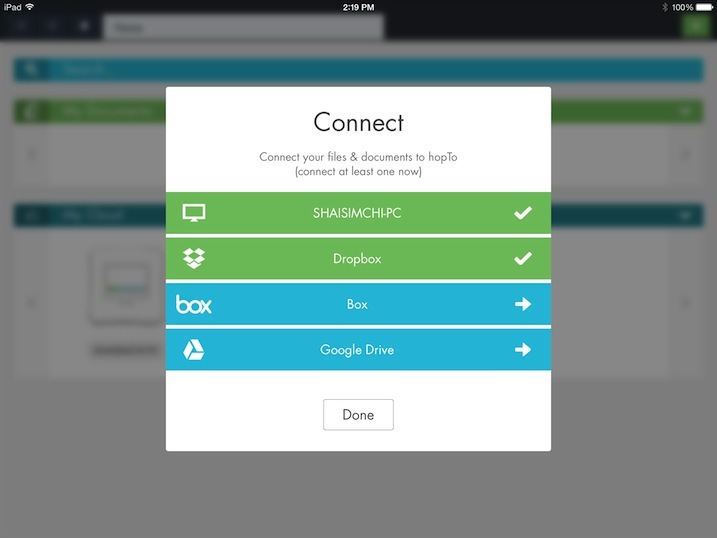 Note that if you already have the Dropbox app installed on your iPad and you are logged into it (linked), you may only see this second authorization step without having to provide your Dropbox credentials. 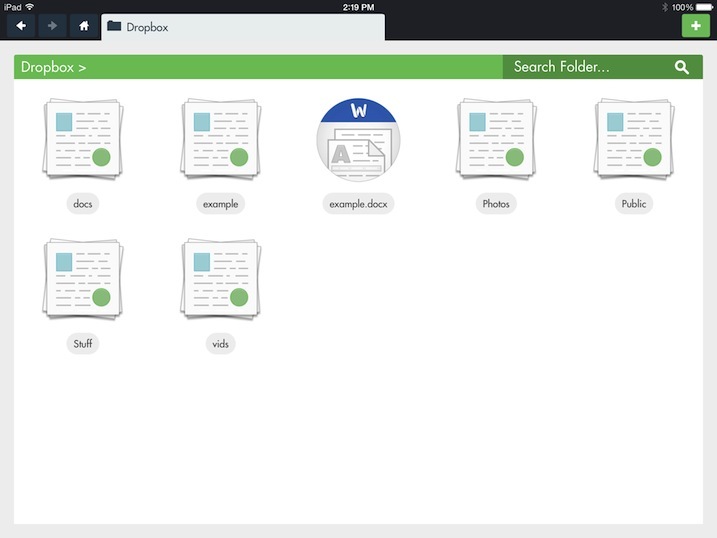 Dropbox now appears green with a check next to it to designate it is now a connected file source for hopTo. You are all set! 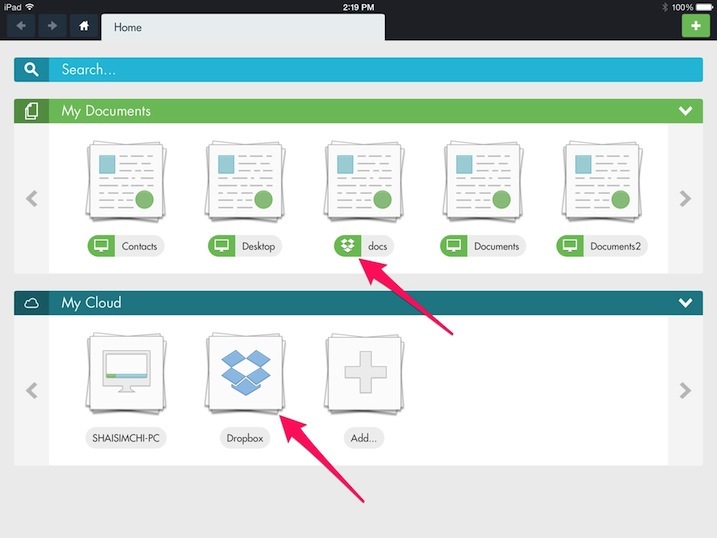 You can now see the Dropbox icon under the 'My Cloud' section and your Dropbox documents are available in the 'My Documents' area. 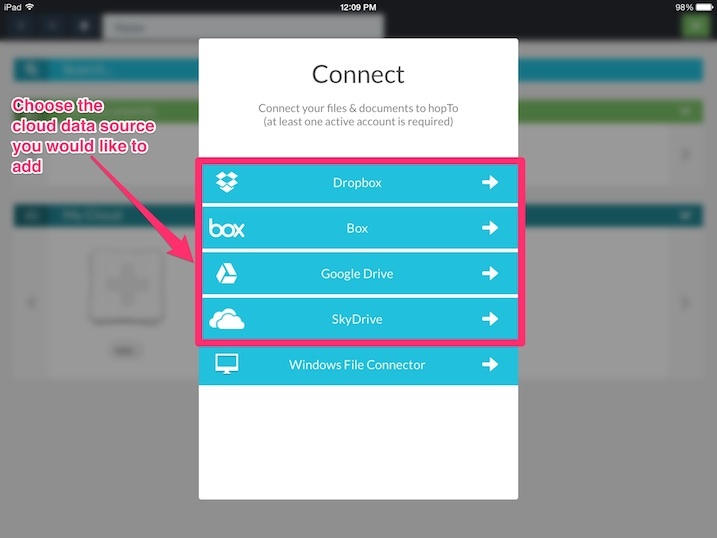 Tap the Dropbox folder and you are now inside your Dropbox folder with access to all the hopTo supported documents.